A brief message for all you charitable guys out there, Movember is nearly upon us again! Its time to ditch the razor for 30 days and let your facial hair free! Movember is the name given to November for over 300000 participants every year and involves the growing of a moustache for the entire month. The trim, shape and look is entirely down to you but most subscribers will simply let nature run its course. Movember originated in 2003 in Australia and has now spread worldwide to every continent. Since the start Movember has helped to raise £26 million for worthwhile charities around the world. And this year all of Click Vision Media’s Staff will be entering to help out those causes and use it as an excuse to really see what we look like with a MO!! Here are just a few examples…..
Oh and if its the design you are unsure of why not take a look here and choose a style that might suit you..Come on guys this is a time to give to really worthwhile charities and has some fun along the way..You know you want too!! 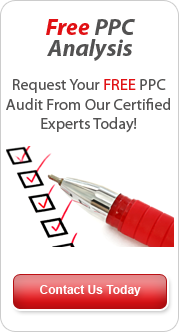 This entry was posted in PPC Company and tagged adwords, analytics, pay per click. Bookmark the permalink.